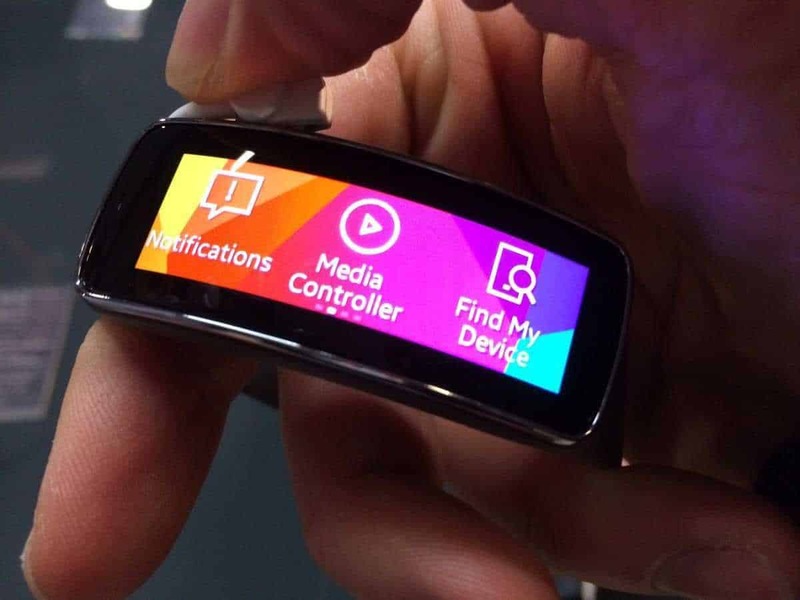 Gear Fit is the new thing on the block from Samsung. It will go near the Tizen based models: Gear 2 and Gear 2 Neo smartwatches. The new Gear FIt is a new model, which looks like a smaller version of the Gear 2 which has a fitness tracker included. The device has a 1.84 inch display which has a curved OLED screen that is rectangular. The smartwatch has a resolution of 432×128 and this feature can show you incoming text messages, e-mails or receive voice calls from other connected devices. Gear Fit has a Bluetooth 4.0 connection and can last for four days from one charge, a time that is bigger than the Gear 2 or Gear 2 Neo. The smartwatch will come with some new features like: Media Controller, Notifications, Times, Exercise, Pedometer, Stopwatch or Settings.Also the device has a heart rate monitor which can track your heart pulse. The Exercise app can sync with Samsung’s S Health utility and can show workout targets that you achieve compared with what your goals are. Gear FIt, as Gear 2 or Neo, comes with an interchangeable wristband. We don’t have information about the price, but it will be launched in April.